In a post on the Facebook Engineering blog today, self-proclaimed “hacker” Paul Tarjan gave us a look behind-the-scenes at some of the tools that the company uses internally. In the post, some of these tools, which are definitely majorly geeky and technical, were discussed at pretty impressive length and detail, considering that they’re internal. Tarjan discusses how Facebook engineers “dogfood” the products that they roll out to users, making sure that they’re ready for primetime. The tools that the company uses leverage the power, and fun, of Open Graph, turning the engineering and development process at the company into a more social one. Makes sense for a social network, right? Phabricator is the internal code-review tool every engineer here uses, every day. It was first created in 2008 as a way to review code, track bugs, and browse source code. In its current incarnation, Phabricator is also an open source, php-based web programming stack with a suite of web applications. When people do an action in Phabricator, it kicks off an Open Graph action with list of people who have created, reviewed or closed out the changes to code. Pixelcloud is another internal tool we created to easily upload and share mockups, screenshots, and other files at Facebook. The interface is really simple, and it lets us share graphics without any image compression, which is useful for designers. Pixelcloud with Open Graph integration shows profile pictures of everyone who has clicked the link to view mockups, giving the engineers a really good idea of who has taken at least a glance. Scuba is a distributed in-memory data store system we developed for doing real-time, ad-hoc analysis of arbitrary datasets. Queries take less than a second to fulfill, even when traversing hundreds of millions of samples and hundreds of gigabytes of data. This tool, while very geeky, has been made more social by surfacing fun visualizations and key pieces of information that everyone at Facebook should know about. SIOG publishes actions that Facebook employees take related to Sigma, a machine learning infrastructure for classification and ranking that our Site Integrity team uses to fight spam on the site. By integrating this tool with Open Graph, Facebook employees can fight spam in real-time. StayFitFB – When we moved to our new campus in Menlo Park, one of the most highly anticipated additions was the new fitness center. But before most people had a chance to check it out, they saw stories in their News Feed about friends who had just completed a workout there with the StayFit app. This is a pretty cool tool to let people see who is staying fit at the company, and well…figure out who isn’t. Tarjan says that 332 employees have installed the app and 249 of them are monthly active users. That’s pretty awesome. The Pokemon app is like an Easter egg for employees–every time someone closes something out in Tasks (one of our internal workflow tools), they “catch” a Pokemon that then lives in an aggregation on their timeline. 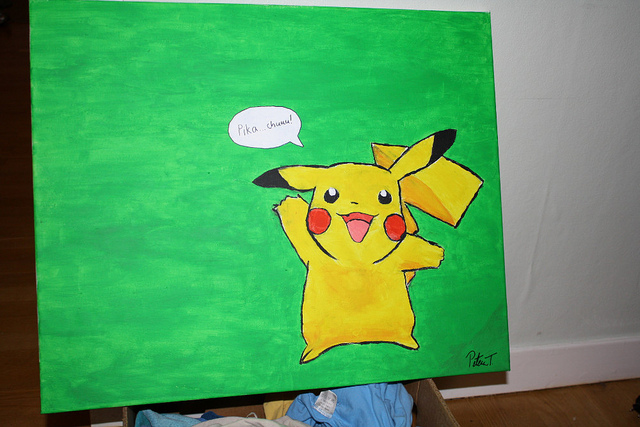 Pokemon was first seeded when employees created a Group for Pokemon lovers at Facebook. Pokemon apparently gives engineers the feeling of tangible achievements when they ship something or close out a task. Tarjan says that a Pokemon character used to just fly across your screen, but now with Open Graph integration, these Pokemon are “collected” on your Timeline, letting everyone at Facebook know when you’ve done something, and letting you track your accomplishments yourself. Tarjan says that by sharing some of these practices and social tools for engineering, it will inspire other companies to use Open Graph to track just about anything, internally or externally. This is something that seems to be pretty unique to Facebook, both creating tools like this and telling the world about them. I think we should do something like Pokemon here at The Next Web.